The long-awaited update to Apple’s mobile OS is here. Here’s how to upgrade your iPhone (or iPad/iPhone Touch) to iOS 7. Firstly, before you embark on a mission to upgrade to iOS 7 make sure that your device is actually compatible with iOS 7. For the iPhone, that means iPhone 4 and above (sorry 3GS users), for iPad its 2nd-generation and above and for iPod Touch it’s 5th generation and up. And before you get too excited about all of the new iOS 7 features – they may not all be available to you if you’re not running a new-model iPhone. For example, Panorama camera mode is only available to the 4S and above, while in-camera filters and the new AirDrop require iPhone 5 and above. If you value your iPhone’s data, making a backup before performing any major software upgrade is good practice. You can create a backup easily via iCloud on your iPhone by navigating to Settings > Backup & Storage > Back Up Now, or via selecting your iPhone and then ‘Back up Now’ in iTunes. To install iOS 7 you’ve got two options: wirelessly or via iTunes. To install ‘old school’ via iTunes, make sure you’ve got iTunes installed and up-to-date (download the latest version of iTunes from Applehere). Then simply plugin your iPhone thunderbolt/USB cable and go to the ‘sync’ screen where you should have the option to download and install iOS 7. If you can’t see the option to update your iPhone to iOS 7 immediately, click on the ‘Summary’ pane and then click ‘Check for Updates’. If you don’t have iTunes or would rather not use it, you have the option of updating your iPhone to iOS 7 via Wi-Fi. Simply ensure you’ve got sufficient battery life and a strong Wi-Fi signal and then navigate to the Settings app > General > Software Update. Your iPhone will check for updates and once located, you can simply tap to initiate the download. Make sure you’re actually connected to Wi-Fi before you start – iOS 7 weighs in at about 1GB, so updating via 3G/4G may blow your data limits. Once the download is finished simply follow the prompts to install iOS 7. Your device will need to reboot and when it does – you’ll have successfully updated your iPhone to iOS 7. 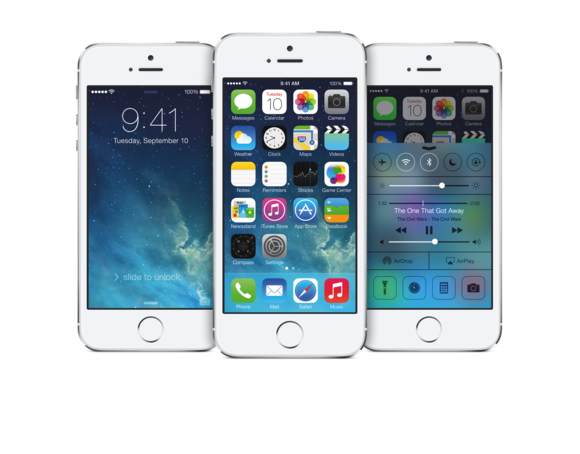 Have your ran into any trouble upgrading your iPhone to iOS 7? Let us know in the comments below.